Jewish congressmen and other officials in the Democratic Party are increasing their efforts to make sure that candidates running for office in November toe the line on support for Israel. The Republicans meanwhile are seeking to portray themselves as the party of Israel, even though most Jews don’t vote for them, and are exploiting the fact that the Democratic Party now includes many genuine progressives who are deeply disturbed by the way Israel behaves. Put it all together and it suggests how Israel has managed to insert itself in the American political system on both sides of the aisle in Congress and elsewhere. Ironically, those seeking to restore Israel-philia among the Democrats are claiming that they are seeking to “de-politicize the Israel issue.” Actually, what they are trying to do is just the opposite, to politicize it to such an extent that no one will touch it. They seek to make unlimited support for Israel the unspoken rule for everyone in politics, without any debate or conditions. The Republicans, for their part, are seeking political advantage in districts where there are significant Jewish voters or where the issue will resonate, making the Democrats appear to be soft on Israel’s security. Either way, the knee-jerk support for the Jewish state, which does not serve the actual interests of most Americans and damages national security, is being given protected status, as if it were part of the Bill of Rights. The debate over the Israel issue as part of the upcoming election has not exactly been out in the open, but it has been discussed in the New York Times “A New Wave of Democrats Tests the Party’s Blanket Support for Israel” as well as in a recent article in Mondoweiss headlined “Several Democratic candidates take stands against BDS, amid signs that Israel is becoming politicized.” At stake is the ability of American Jews from both major parties to maintain the U.S. political system and government’s uncritical support for Israel. One might well ask if there has ever been in all of history the denial of the interests of a large powerful state to placate a weak and extremist client and the answer would have to be “no,” though never before has there been a tiny minority in any country that possessed anything near the power that American Jewry has, power that is frequently employed on behalf of Israel. Some might call the dual loyalty, which George Washington warned against as a “passionate attachment” in his farewell address, to be treasonous. The alleged progressives who are being particularly targeted include Ilhan Omar, of Somali descent, who is running for Congress in Minnesota and Rashida Tlaib, of Palestinian background, in Michigan. Both oppose military assistance to Israel due to its repression of the Palestinians and both are supporters of the non-violent Boycott, Divestment and Sanctions movement (BDS). Alexandria Ocasio-Cortez, running for Congress in New York, has drawn the most attention as she is a member of a group that supports BDS and she has described the “occupation of Palestine.” She has already begun to waver, conceding that she has to study the issue more. Perhaps the most interesting candidate is former journalist Leslie Cockburn, running in Virginia’s fifth district in rural Rappahannock County, who has written a book “Dangerous Liaison: The Inside Story of the U.S.-Israeli Covert Relationship,”but she is already backtracking. She has been labeled a “virulent anti-Semite” by her Republican opponent and is now pledging support for all “existing commitments” to Israel. Anyone in national politics who even suggests that the Palestinians are human beings that are being severely punished by a powerful Israel had best watch his or her back. On October 8th Congressman Eliot Engel of New York spoke regarding Ocasio-Cortez and the three other liberals who have criticized Israel. 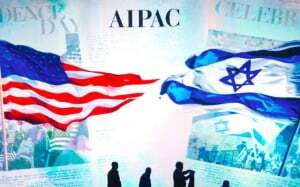 Engel told a New York synagogue gathering that had been organized and promoted by the American Israel Public Affairs Committee (AIPAC) that all Democrats “need to be educated” in support of Israel. Sherman is wrong about the Democratic Party demographics. There was somewhat of a revolt at the Democratic Party nominating convention in 2016 when a plank supporting Jerusalem as Israel’s capital was clearly rejected by the rank and file in a floor vote but passed anyway by the leadership. Meanwhile, a January Pew Research Center poll revealed that the party members are more likely to support Israel than Palestine by a margin of only two per cent. And that was before the slaughter of the Palestinians in Gaza by Israeli snipers. Ironically, Israel’s friends carry out character assassination on opponents without any recognition that what they do is clearly perceived as unacceptable behavior by most Americans who actually follow developments in the Middle East. It has taken a long time, but one major political party has finally begun to see the light on Israel and the damage it does to the United States. To be sure, that recognition is currently at the base level, but eventually, it will work its way up through the system. It will undoubtedly be refreshing to have four or five new voices in Congress that are unafraid to speak the truth about Israel.